Only a few days left and I'm going to QuiltCon in Savannah, Georgia! As you can imagine at this stage I am beyond excited! 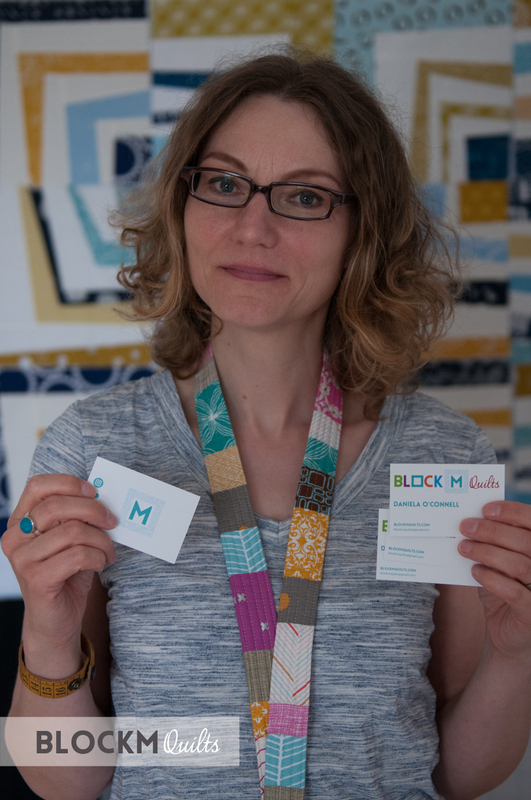 In preparation of my first QuiltCon I made myself some business cards, in the hope to connect with loads of other quilters! 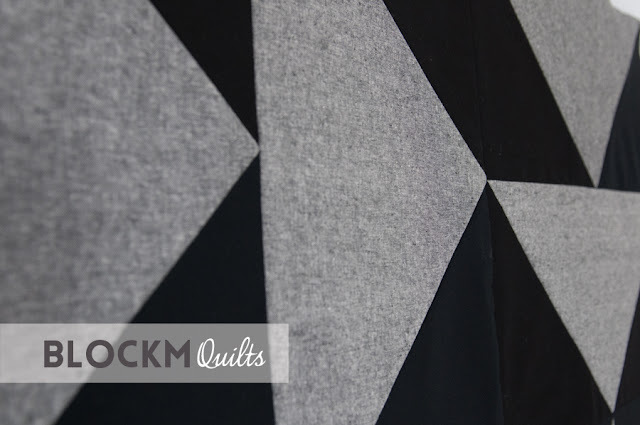 I used my logo from the blog, which I really like and it looks so good in that tiny print, too! 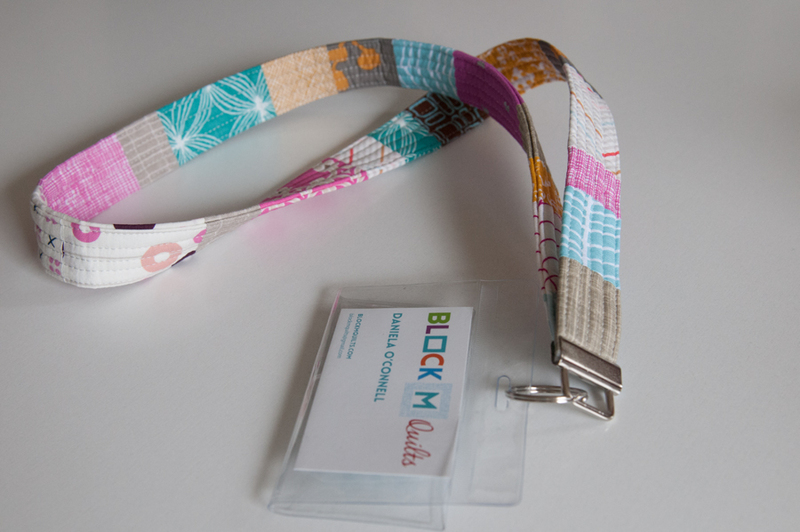 I also made a lanyard from the left over scraps from my pillow so I can have my business cards ready to hand out. I have also prepared for my work shop 'QuiltRemix' with Riane Menardi of Vesselquilts. 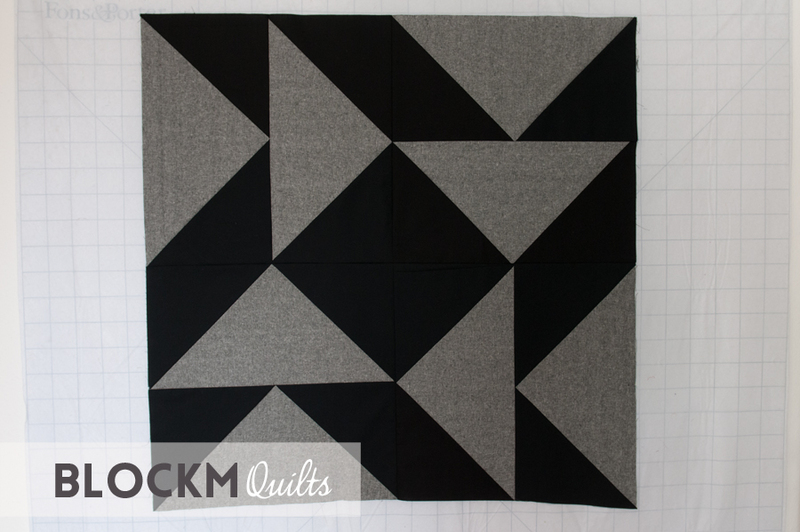 We were asked to prepare two large blocks in contrasting colours, and I opted for Kona black and Robert Kaufmann Essex Linen in gray. One is a 20" square log cabin block. And the other one is a huge 40" square dutchman's puzzle block. 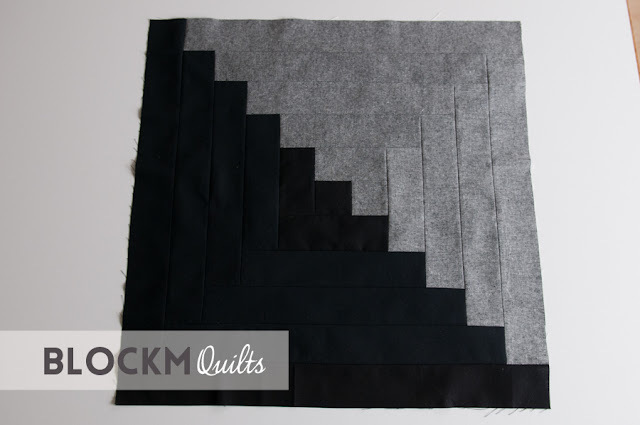 I had some difficulties making this giant block, some of the seams don't match up... very obvious in that size and these colours. But hey, I'm cutting the whole thing up again so I just cut the mishaps out. (Uh, did I really say that?) Anyhow, I'm sure after the remix it will look all good. I am so looking forward to the whole event! I will write reports from my stay when I'm back, so stay tuned! Hi Daniela: I'm taking that workshop as well! I'm looking forward to meeting you. Oh great! Looking forward to meeting you,too! 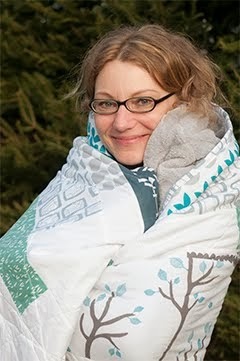 It would be so cool to go Quiltcon!!! Your cards look so fine :) Have a nice time there and take lot of pictures!! !